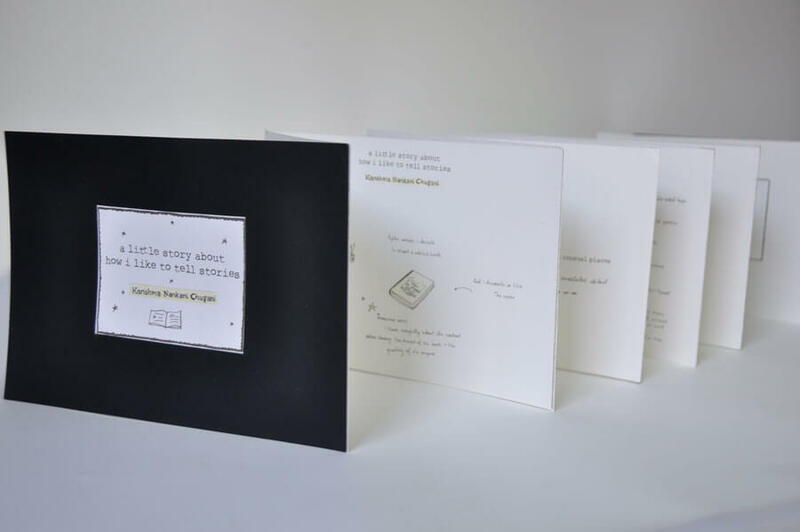 Making an artist book is one way of telling a story. 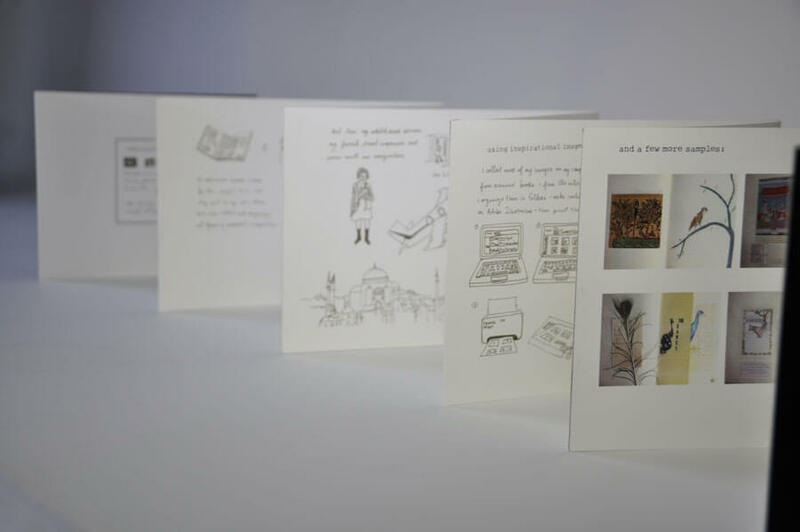 In April, I will be giving a two day course at La Cala titled El libro de artista (The Artist Book). A Little Story about How I Like to Tell Stories. A small handmade edition I made to explain my creative process, 2014. 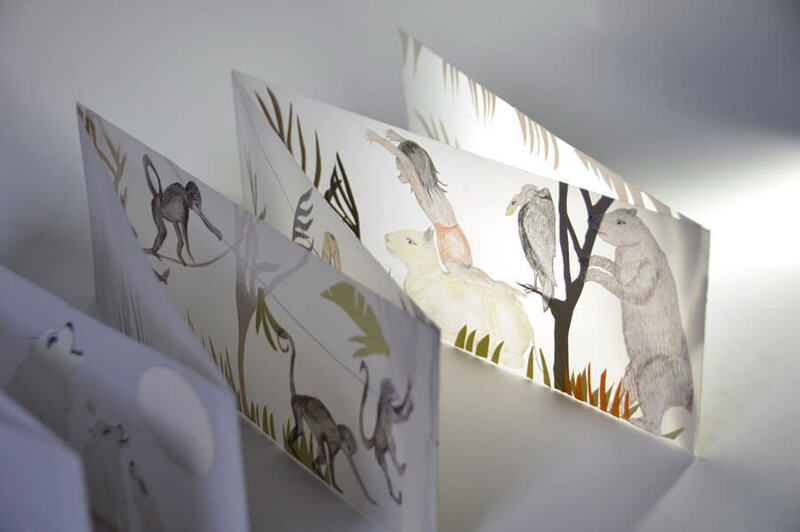 During the course we will explore the art of creating books by looking, touching and making. 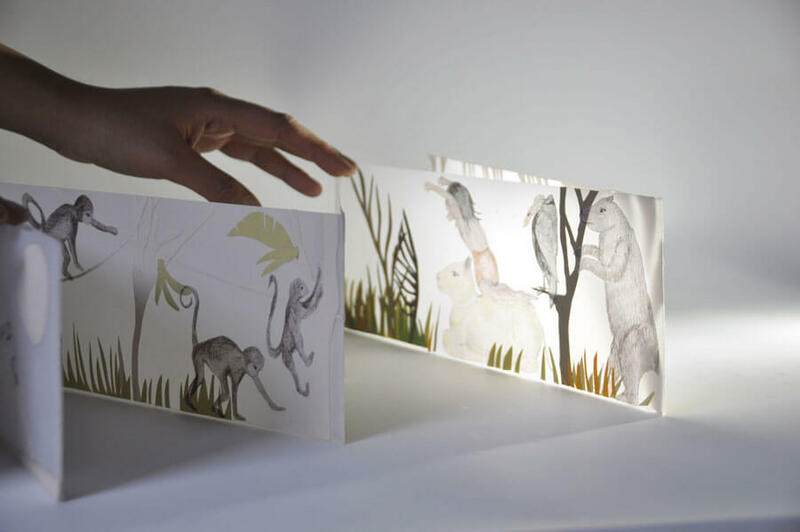 We will begin by studying different formats of artist books, tracing their origin from illuminated manuscripts, books of hours, scrolls, concertinas (accordion books) to more contemporary formats. 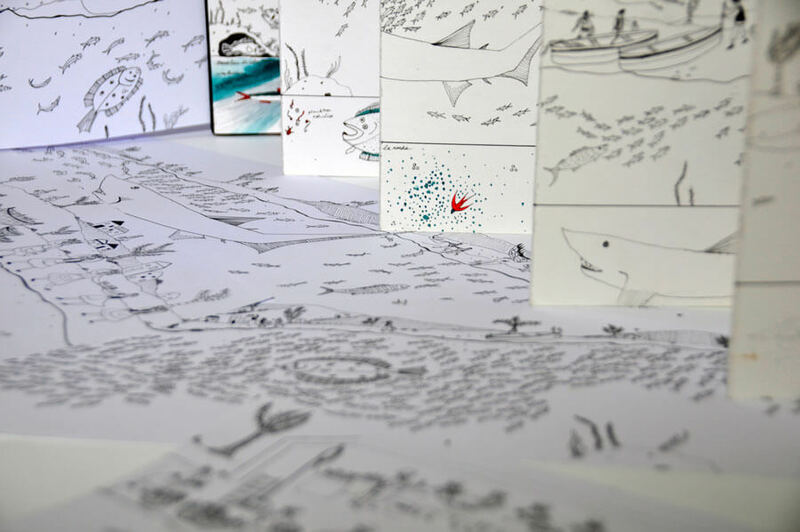 We will think about the the materiality of the book as an object, searching for coherence between content and format, use and aesthetic, narrative and material. We will debate over the principle of the Bauhaus which states: “Form follows function”. 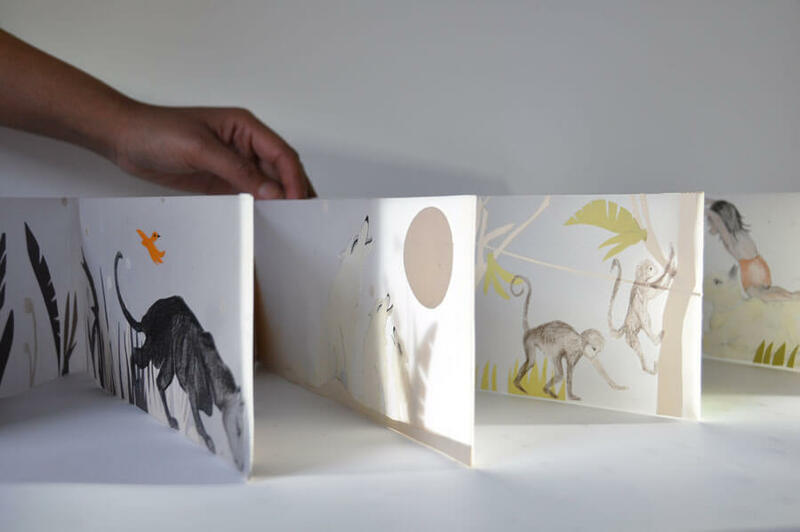 An artist book I made inspired by Kipling’s The Jungle Book. 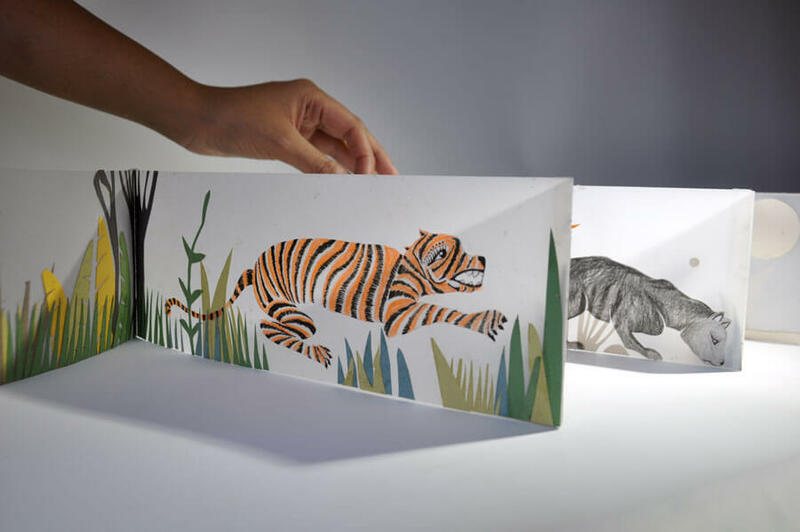 The transparency of the paper allowed me to create a sense of depth in the jungle, 2013. Following a theoretical introduction, we will begin making and creating. 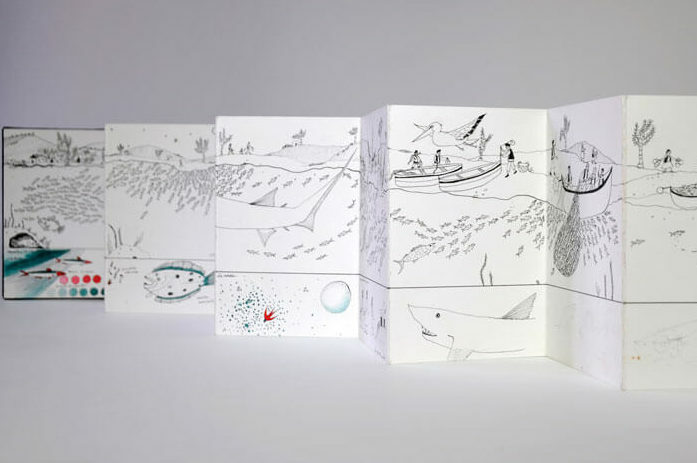 Using a predetermined concertina format, we will each create our own artist book. 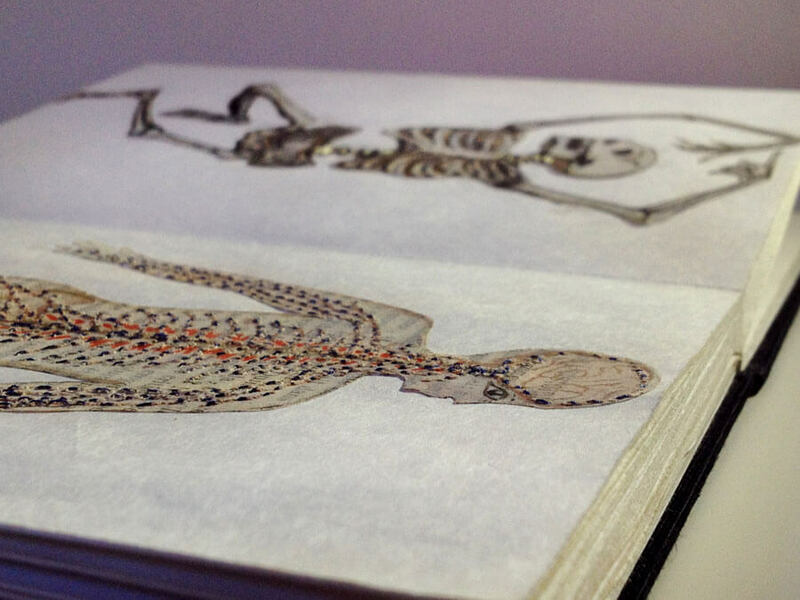 The course will conclude with a small exhibition and critique of the work. Original artwork from Este cuerpo es humano, 2017. This course is open to photographers, musicians, designers, writers, artists, lawyers, illustrators, fishermen, firemen, cooks…the list is endless. Better said: it is not required to have previous experience, just curiosity and a desire to make something with your hands. The Life of an Anchovy, work in progress. The course will be held in La CALA on the 6 y 7 of April, 2018. From: 11h. to 14h. and from 17h. to 21h. Inscription fees: 200 € including 14 hours of the course and two nights in an individual room in a rural guest house nearby. For more information and to enroll, click here. 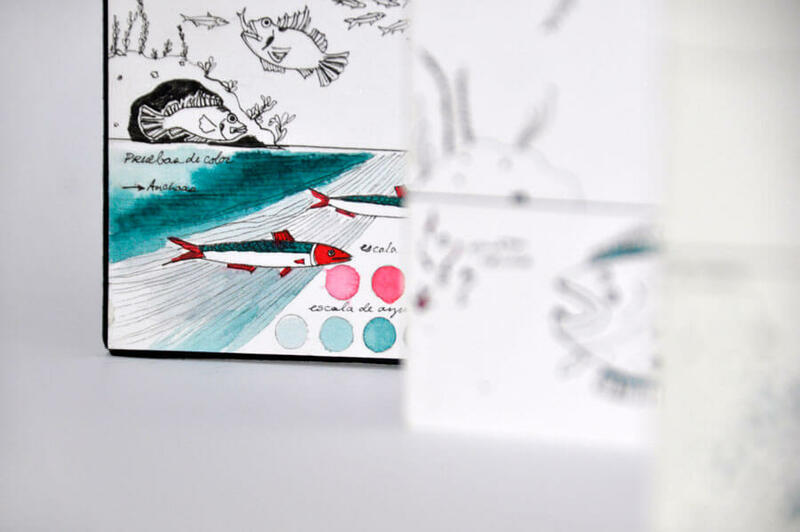 En El libro de artista exploraremos, a través de la vista, el tacto y el hacer, el arte de crear libros singulares y hechos a mano. 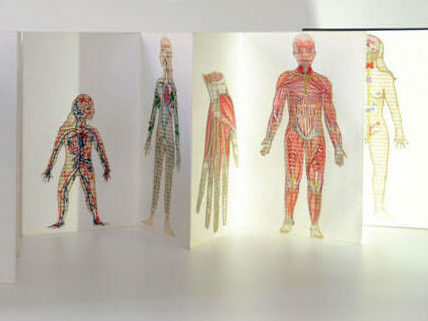 Arrancaremos el curso estudiando distintos formatos de libros, haciendo un recorrido desde los manuscritos iluminados, los libros de las horas, pergaminos, concertinas hasta formatos más contemporáneos. Pensaremos en la materialidad del libro-objeto, buscando la coherencia entre el contenido y el formato, el uso y la estética, la narración y la materia. Debatiremos sobre el principio de la Bauhaus: “La forma sigue a la función”. Tras un inicio teórico, pasaremos a la creación. Usando un formato de libro acordeón preestablecido, cada uno crearemos un libro de artista propio. 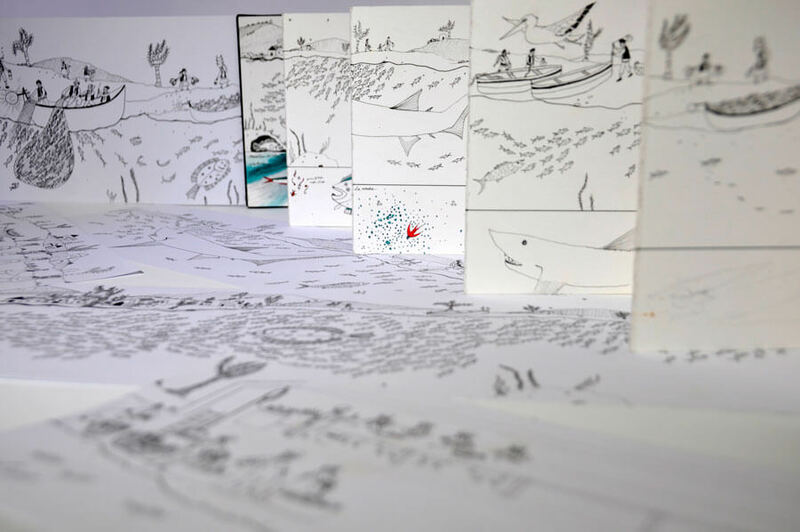 El curso se cerrará con una pequeña exposición y critica de las obras. Dirección: Karishma Chugani Nankani. Máster en Edición. Universidad Autónoma de Madrid. MFA Design Futures. Goldsmiths College. BA Fashion Design with Printing. Central Saint Martins College of Art & Design. Foundation Course in Art & Design. Central Saint Martins College of Art & Design.